Posted November 13, 2014 by Scoil Bhríde, Lackagh in News. 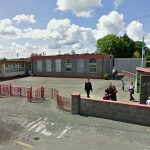 As the population of the Lackagh area has more than doubled in the past ten years, according to the most recent census, the need for the proposed €1.5 million new primary school in the area is greater than ever. So says Michael Lydon, Principal of Scoil Naomh Bhríde in the village. 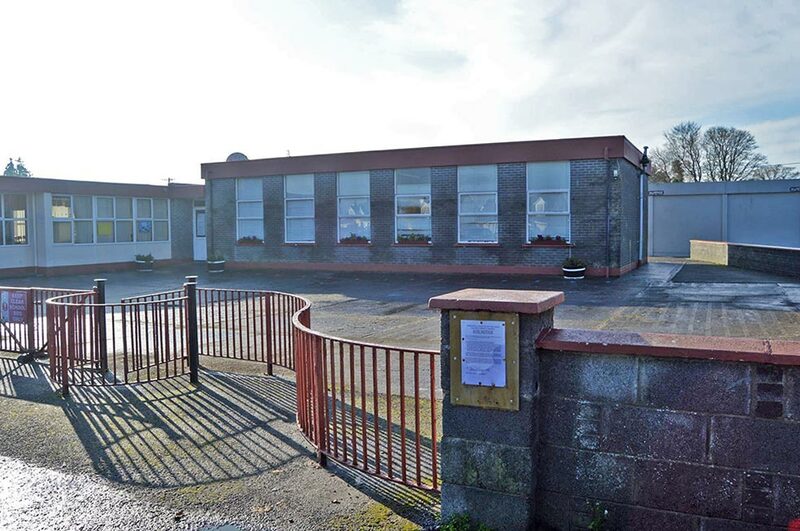 The principal, parents, staff and Board of Management are keeping their fingers crossed that their planning application for the proposed development will get the green light from Galway County Council on December 4th. “At present we have 200 children on the rolls and over 50% of those are now being taught in eight pre-fabs, while our detailed projections show that this number of pupils is set to rise to 240 by 2018,” says the principal. Due to the projected increase in pupil numbers at the school, an extra teacher is expected to be required for the new term next September. Lackagh National School pictured earlier today. Photo by Josette Farrell. Michael Lydon added that apart from it being important that the pre-fabs and the current main flat-roof building dating from 1966 be replaced for the benefit of the pupils, there is also the consideration of alleviating traffic problems for the 400 parents who are coming and going to the school with their children at various times. “We have a site adjacent to the school which has been donated by the parish and our hopes are that if the planning application gets the go-ahead next month that construction work could possibly begin some time next year,” says Michael. The work will involve the demolition of the existing school buildings and all pre-fabs. These will be replaced with a new 1,570m² two-storey primary school building. 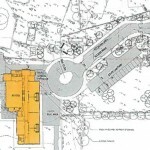 Other facilities to be provided include a junior play area, a visitor car park and a ball court. There will also be a new vehicular entrance off a local cul de sac, a school access road with set down area, traffic turning circle and staff car park. 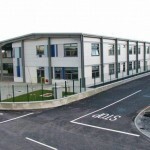 The principal concluded that as the spacious site that they have available for the new building is at the back of the existing campus, the construction work can go ahead without the pupils having to move from the present buildings until the new school is ready.